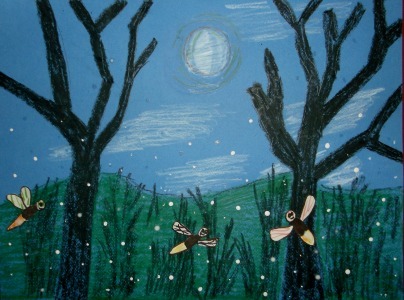 Find this project, Dance of the Firefly, in the 1st Grade Projects Gallery in the sidebar. This entry was posted in Categories and tagged 1st grade, art class, art project, bug, craft, dance of the firefly, dancing fireflies, flashing little lanterns, for kids, summer. Bookmark the permalink.